Robyn Vilate: best. crepes. ever. it's true. once you've had these, you may or may not eat anything else for breakfast. ever. ok, slightly exaggerating. however, i DO think you will enjoy them. 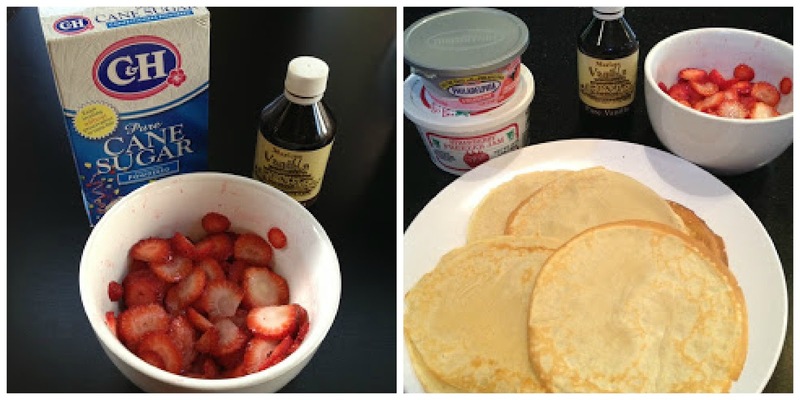 this is just a random recipe i found online a few years ago, but have been known for being the roommate, friend, "girl he dated" and now wife that makes some bomb crepes! in a large bowl, mix together milk, egg yolks, and vanilla. stir in flour, sugar, salt and melted butter until well blended. heat a crepe pan over med heat until hot. coat with vegetable oil/cooking spray. pour about 1/4 c of batter into the pan and tip to spread the batter around the edges. when bubbles form on the top and the edges are dry, flip over and cook until lightly browned and the edges are golden. 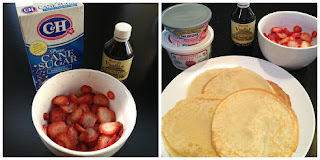 i usually cut this recipe in half for just me and the hubs and it still makes about 6-8 crepes. i also fill mine with ALL sorts of goodies. i'm talking strawberries, bananas, nutella, peanut butter, coconut syrup, whip cream, cream cheese, jam, and sometimes even vanilla ice cream! Yummy! 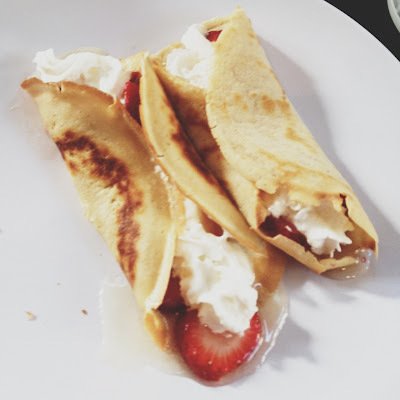 I have made crepes using one of those electric crepe makers (the ones you dip into the bowl of batter to coat them), and have been scared to make them ever since! I do love them though, maybe I'll give 'em a try. Can you make them in a regular 'ol skillet, or do you have to have a crepe pan? I've never made crepes but I do think they are yummy... I pinned this so I will remember to do it! Except now I have to go buy a pan! Or can just use a regular skillet? Anyways, thanks for sharing! Sometimes I get so protective of my recipes! It is generous of you to share with all of us!